The recent improvement in the nation’s job market slowed substantially in March as employers expanded payrolls by 120,000 jobs, the Labor Department reported Friday. The number of new jobs fell far below economists’ estimates and marked the first time since November that employers added fewer than 200,000 jobs. 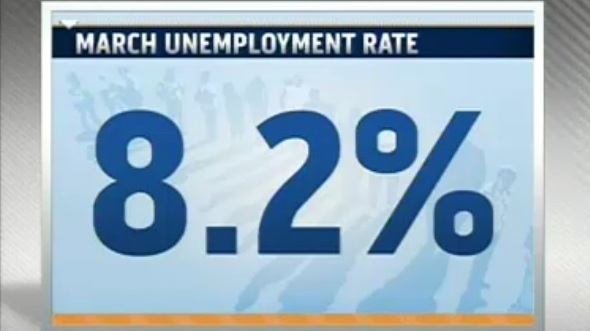 Despite the disappointing numbers, the nation’s unemployment rate ticked down to 8.2 percent. House Majority Leader Eric Cantor (R-Va.) called the report evidence of an economy that continues to struggle. This entry was posted on April 6th 2012 at 3:13pm/15:13 and is filed under Live News Column 1. You can follow any responses to this entry through the RSS 2.0 feed.